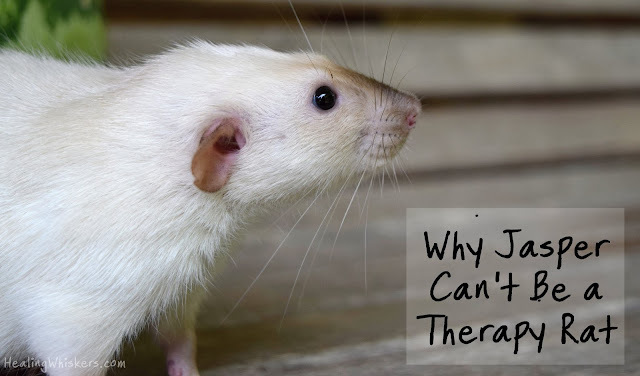 Seizures are a terrible thing and I've only seen a handful in my life, but it is very rare in young rats. Jasper has had 3 seizure up to the time I am writing this post and hopefully he won't have anymore but you can never be sure with them since we don't know a cause. The first one was once he was settled at home, the second was at PetSmart HQ, and the third was just at home again. Could be stress related, but it hasn't been consistent. Jasper after his second seizure. Eyes still look a little scared. I told my vet my concerns about therapy work because of his seizures. I don't want him to have one while he was working and I don't want this work to cause them either. She said that it probably wouldn't be a good idea. 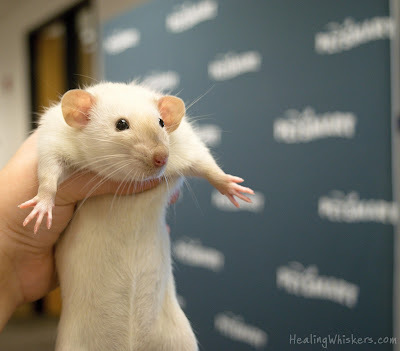 It was so disheartening to hear this especially because I was there to get my older rat Everett checked on after his health declined (R.I.P.). 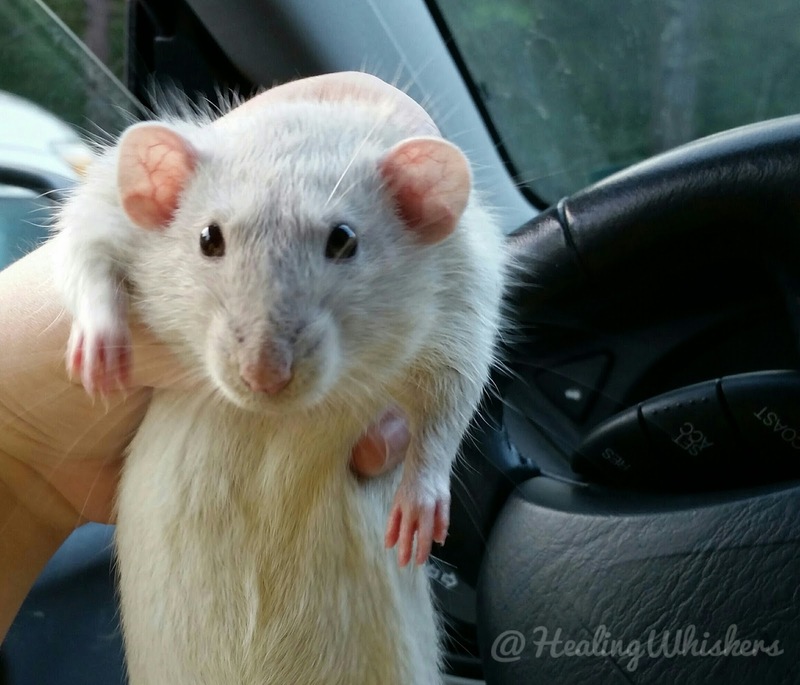 So, I am pulling him from therapy rat training and going to evaluate Oliver instead. I had some doubts about him being in therapy, but he has gotten sweeter and now takes food out of my hand gently instead of snatching it (one of my main concerns). Now I just need to work more on potty training and being in new environments. Jasper is not getting any less attention, and I feel like he is doing therapy work still, but in ways of the internet. I'm sure he doesn't understand that he is being shared all over the world, but I feel like he knows he is immensely loved by many. He is my special little boy and I wouldn't change him for the world! I love Jasper...he makes me smile on the darkest days. 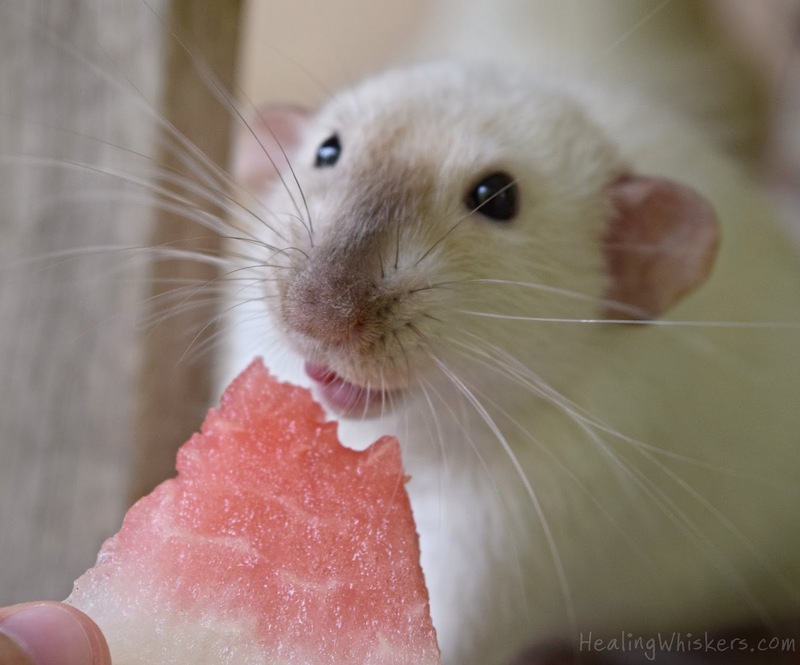 I am sure Oliver will become an excellent therapy rat!